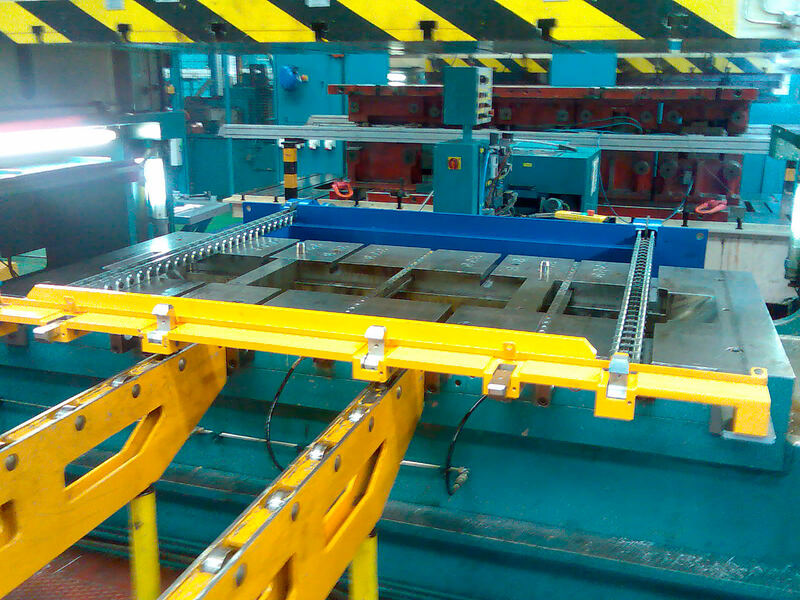 Installation of a double chain SERAPID Push Pull System on a press producing parts for Fagor household appliances. Designed to cater for difficult quick die change conditions, the SERAPID PPS is easy to install on an existing press and allows dies to be handled safely. This PPS push/pull system is of two synchronised RollBeams. 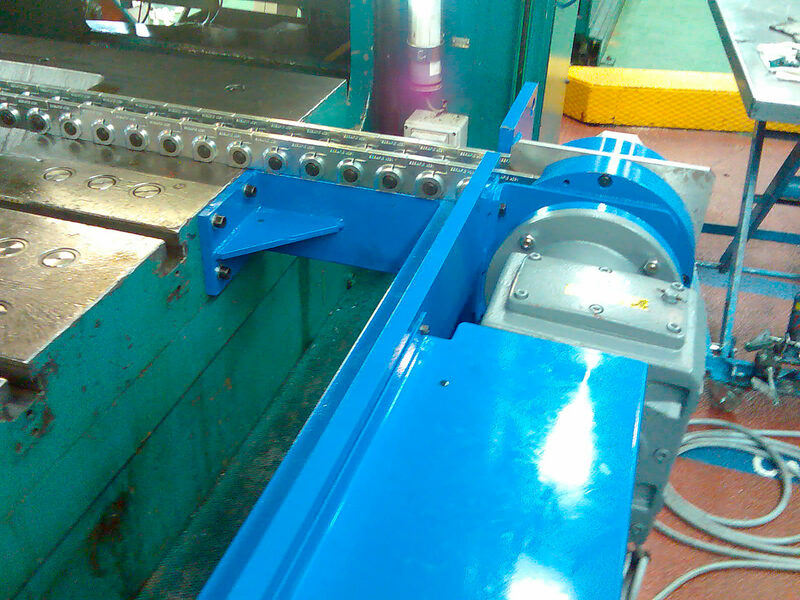 It is placed at the back of the press and makes it possible to accurately position the die by pulling it into the press or pushing it onto the loading equipment. 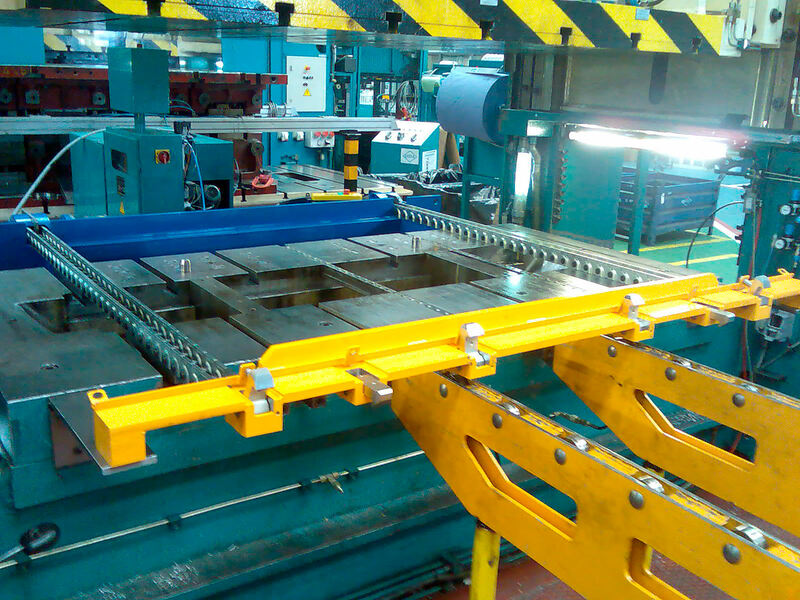 SERAPID PPS systems make it possible to position dies weighing up to 8 T using steel/steel sliding on steel and up to 16 tonne using rollers. Find the full Quick Die Xchange – QDX - programme for quick die change.